Burell Built Exteriors is glad to provide expert roof repair and installation in Hamilton County, TN. 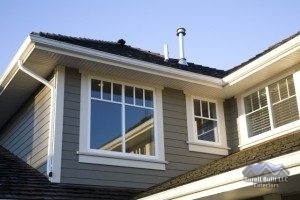 Our contractors offer complete home as well as full business roofing services. For friendly service from a roofing company in Hamilton County, TN, dial (865) 385-6926 today. While our family-owned and operated business is based in Chattanooga and Knoxville, TN, we work in a large region, offering complete roof replacement and repair. No matter which type of roof system you have, our roofers have the experience and tools to repair and replace flat, shingle, slate, metal, and other roof systems. If you’re searching for a durable membrane system or want stylish slate, we have a wide range of options to choose from. Our roofing company in Hamilton County, TN uses only reliable materials for our projects, so you can have a durable roof. If you reside in one of the following cities or nearby, give our contractors a call to find out how we can help you with your roof. Our contractors are proud to specialize in many roofing methods and materials for your home or commercial building. Thanks to our extensive experience and local knowledge, we can quickly assess the issue with your roof, from standard wear and tear to hidden hail damage. We also offer emergency roof repair, so call us at (865) 385-6926 anytime, 24 hours a day, for assistance! As our company name implies, we also provide home exterior services such as siding replacement, gutter installation, and more. No matter the size of the project, choose our roofing company in Hamilton County, TN for expert service you can trust.